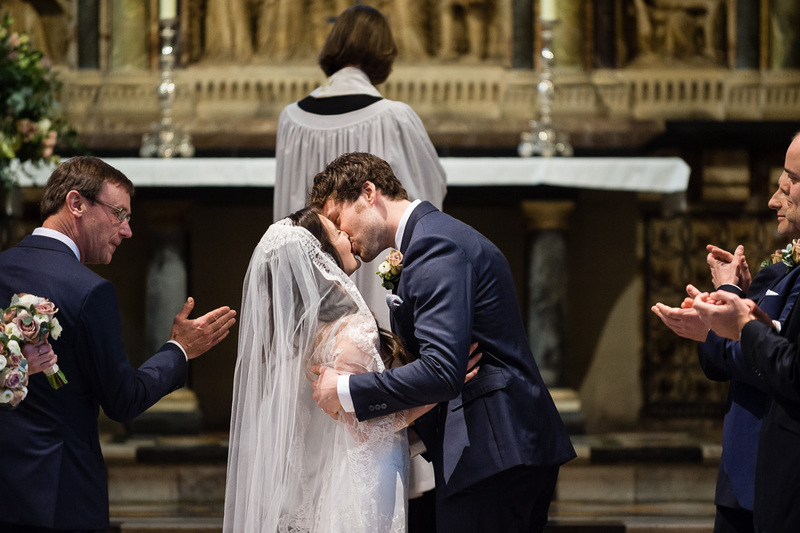 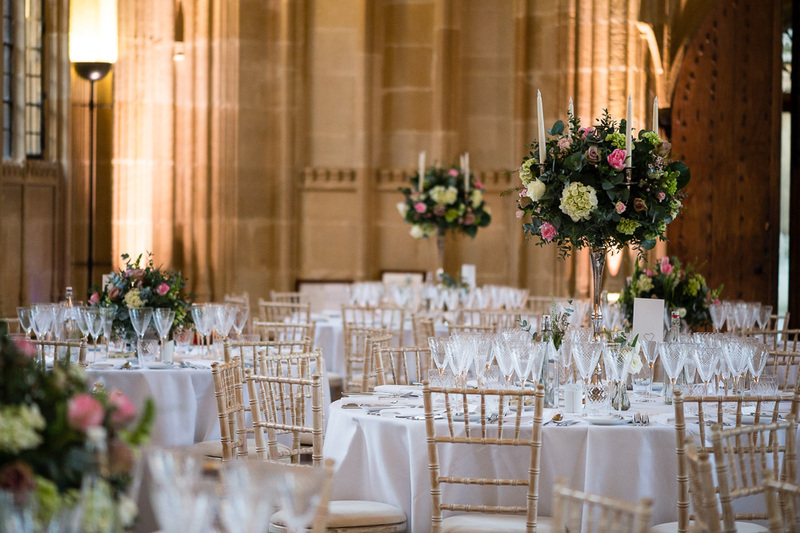 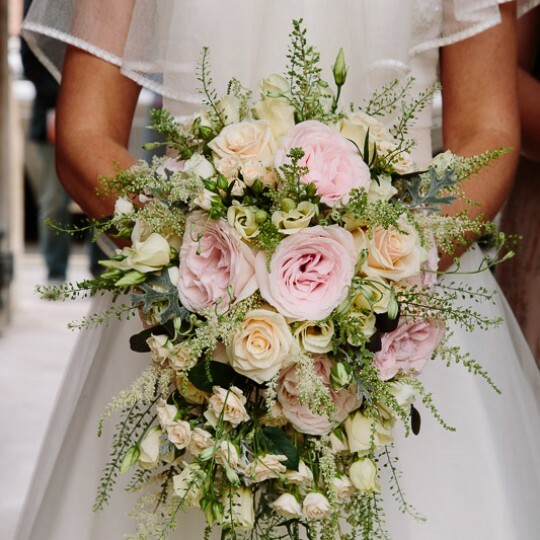 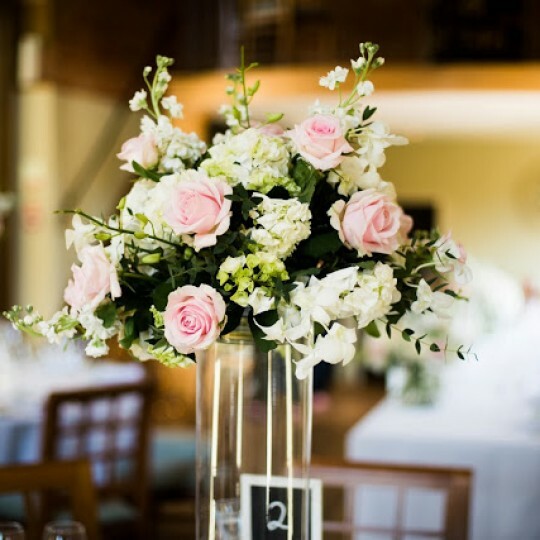 Kate and Radleigh's gorgeous spring wedding flowers at The Bodleian, Oxford - Joanna Carter Wedding Flowers | Oxford, Oxfordshire, Berkshire, Buckinghamshire and London. 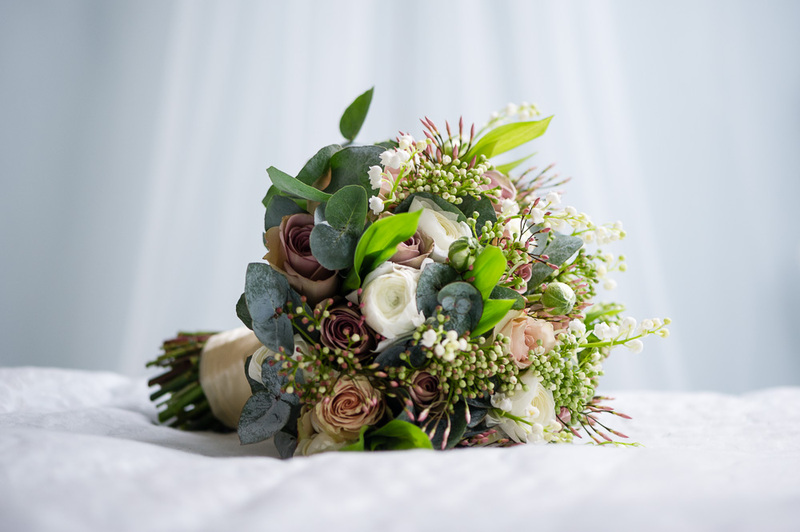 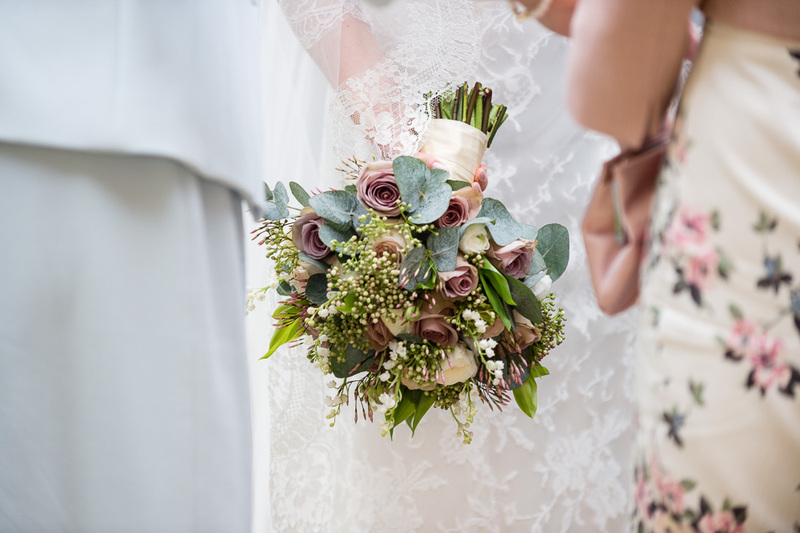 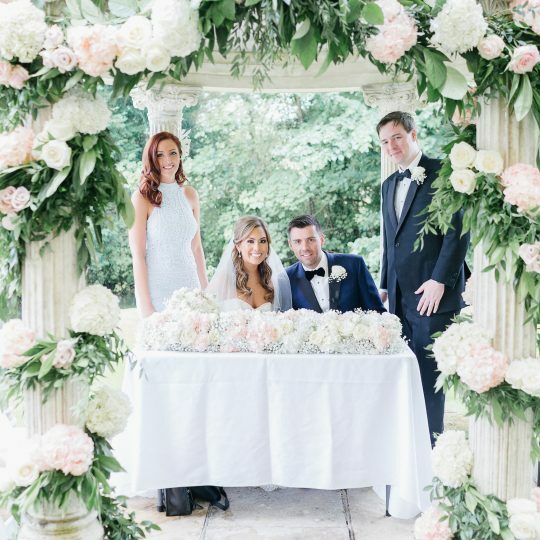 We used amnesia roses, white ranunculus, viburnum, lily of the valley, jasmine and eucalyptus in Kate’s gorgeous bouquet. 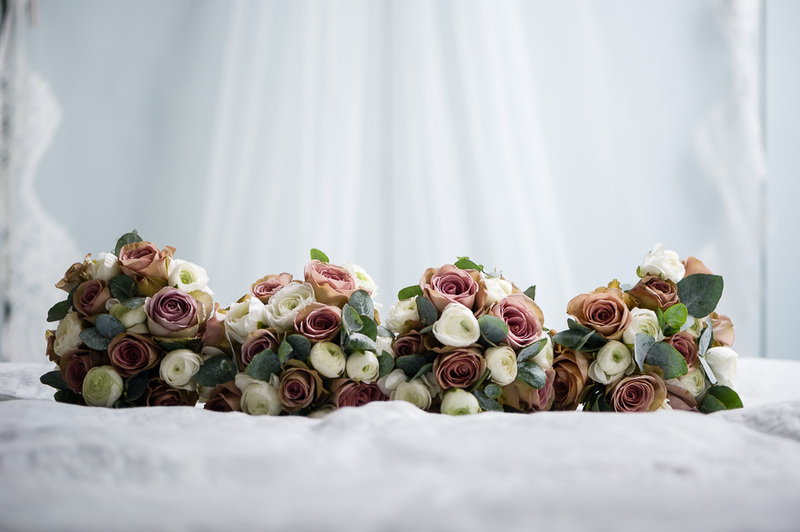 The bridesmaids carried domes of amnesia roses and white ranunculus with eucalyptus foliage. 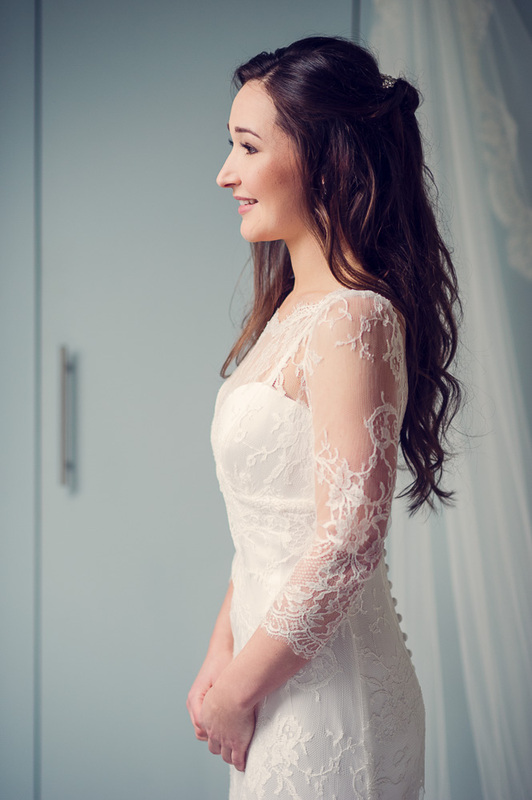 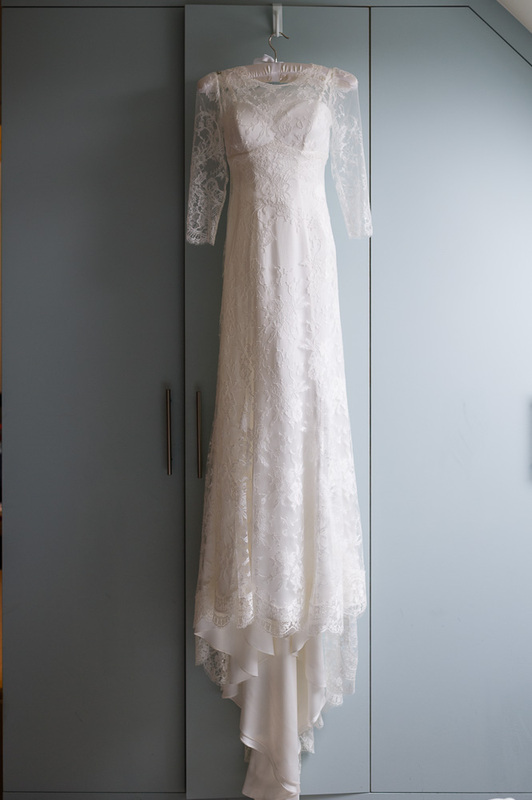 Kate in her beautiful lace dress. 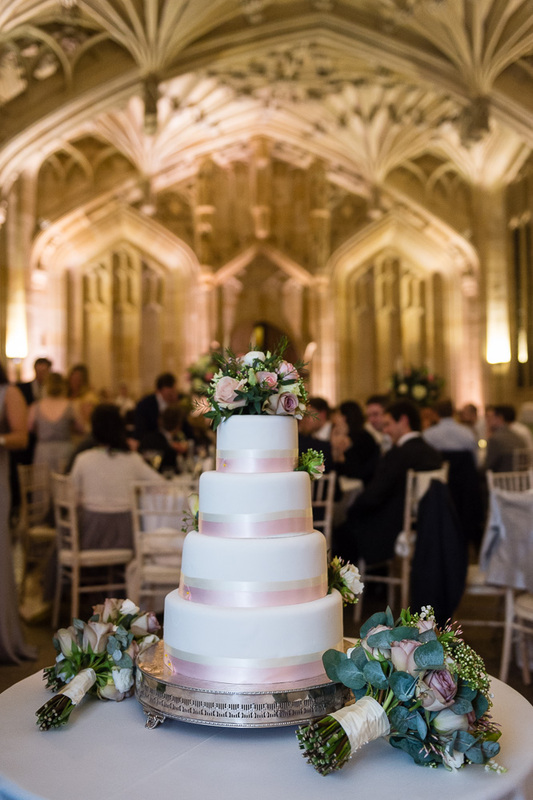 After the ceremony guests had afternoon tea in the lovely dining hall at Jesus College before moving on to the Bodleian Library for a wonderful evening reception. 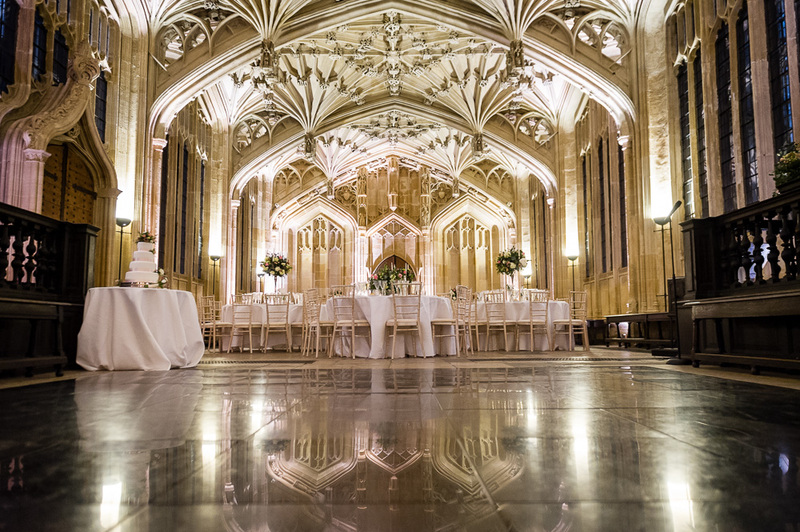 The architecture at the Bodleian is stunning and makes a great backdrop for the reception.